Transition Point Chevalier is committed to creating an inclusive, cooperative, compassionate, fun-loving and vibrant community in Point Chevalier, by living and acting locally, applying sustainable practices and developing community resilience. The basis for the statement comes from a community hui in which the following values and actions were offered as guiding ideas by the participants. Being own to new things, compassion, consciousness, cooperation, creativity, fun, growth / learning, health, inclusiveness, interdependence, positivity, respect, sense of belonging, sharing, trust, vibrance. Awareness raising, being positive, buying locally produced products, composting (toilets), cooperative buying and selling, empowering others, fair trade organic super market, informing others, kaitiakitanga (stewardship), listening, making submissions to council plans, manaakitanga (taking care of each other), more environmental education, planting vegetables and fruit trees, rain tanks, recycling, riding your bike, singing in groups, small actions and events, talking with your neighbours, walking, wind and solar power, worm farms. Consensus decision-making is the desired model. This means that the issue needs to be explored until everybody agrees on a decision. It does not mean that everyone believes the decision to be the best option; rather that everyone agrees that they can live with this decision in the best interests of the group moving forward. Where a decision has not been reached by consensus in the time allocated for that issue, the Chair has the ultimate authority to defer the decision to a subsequent meeting or to use an alternative decision-making process such as “majority” or “consensus minus one”, depending on the urgency and gravity of the issue. Tasks and responsibilities will arise which require people to undertake roles, in which decision-making is required. Some of these roles will be general responsibilities; others will be specific to certain tasks. Decision-making in a role should be based on the perceived greater interest of TPC, not personal agenda. Where someone in a decision-making role has a vested interest in the decision, this should be stated in advance of accepting the role. The chair will be assigned at a prior meeting. This scheduling will take place in the next fortnight. Anyone interested in chairing one of the meetings should approach a member of the steering group tonight after the meeting. The chair will introduce the meeting and concept of TPC. The chair shall check the actions on the minutes of the previous meeting before the meeting and place on the agenda only those items which need to be discussed. The chair will facilitate the pace of the meeting and ensure that time frames are kept. If people wish to put an item on the agenda and/or have it advertised in advance of the meeting, they need to contact the chair of the meeting. A list of meeting chairs and contact details will appear on the website. A point-of-contact person is required. Like all roles, this role shall be filled by any individual only temporarily. The point of contact person can make decisions about how to respond to queries about TPC. It is suggested that for complex decisions she or he attempt to consult with other TPC members for advice. The point-of-contact should report back to the monthly meeting a brief summary of any communications. Ruth MacClure is the initial point-of-contact person. One spokesperson, or ideally several, are required. Like all roles, these roles shall be filled by any individual only temporarily. The media person can discuss TPC with external organisations as he or she sees fit. It is suggested that for major opportunities, he or she attempt to consult with other TPC members as to their interest in participating. Each spokesperson shall report back to the monthly meeting a brief summary of any communications. Finn Mackesy and Niki Harre are the initial spokespeople. 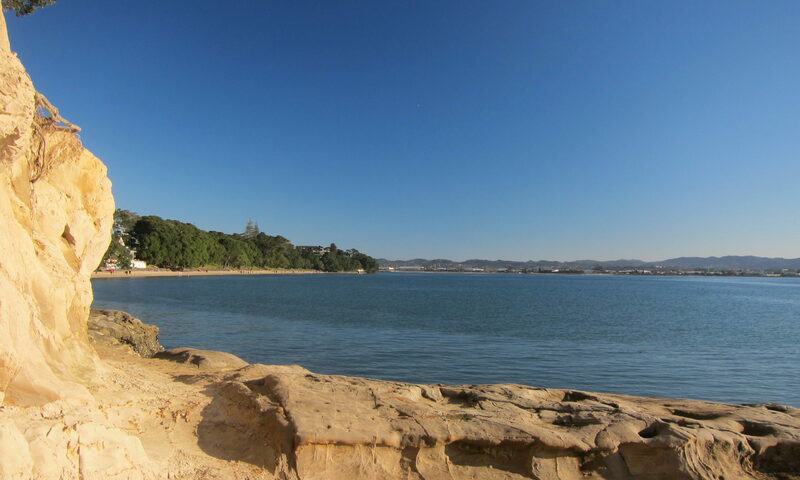 Any resident of Point Chevalier – or anyone with a strong connection to Point Chevalier – can propose a subgroup. Subgroups need to be endorsed by the monthly meeting. To be considered for endorsement, subgroups shall provide to a monthly meeting a Statement of Purpose and a description of how this links to the TPC’s Statement of Purpose. Subgroups shall send at least one representative to each monthly meeting, who shall report on the subgroup’s news and activities. 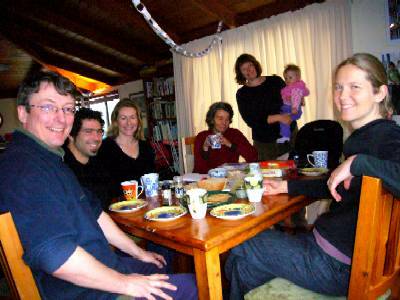 Each subgroup needs the contact details of a contact person to be put on the www.transitiontowns.org.nz web page. Subgroups may act without referring decisions to the monthly meetings. Subgroups shall decide on their own decision-making processes, as and when they need to. Subgroups are encouraged to network with existing groups in related fields. Any person present at a monthly meeting can query whether the reported activities of a subgroup are within TPC’s vision. The chair can ask a Subgroup to report back on how their activities are within TPC’s vision, or to lose their endorsement as a Subgroup. Our first photo taken at the Steering Group meeting on 26 July 2008. From left to right: Guido, Finn, Ruth, Niki, Jo, Lucie and Heidi. We are catching up with publishing our event photos since 2008 so this might take a while to complete. And here some pics from our Fleamarket and Neighbours Day on 7 April 2019.